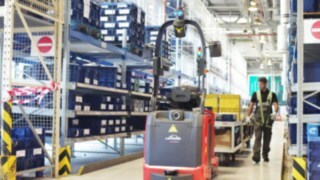 There are transport tasks at Wolf that are constantly repeated. These include the transportation of pallets of finished goods in the shipping area between block storage and the transfer point in front of the truck ramps. 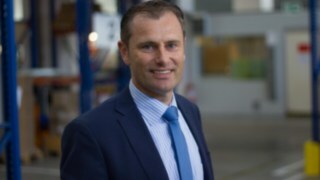 “To further increase the efficiency of our plant logistics we were looking for a solution for this clearly defined, high repetitive standard task that involved covering a longer distance. 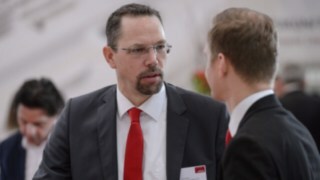 It was roughly one year ago that we began talking to our industrial truck supplier, Linde authorised dealer Beutlhauser-Bassewitz,” reports Roman Feigl, Head of Logistics at Wolf GmbH. We were convinced by the machines’ geoguidance orientation system, which did not require additional infrastructure. 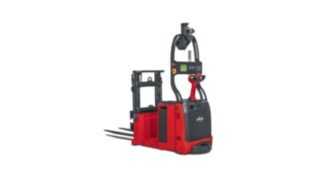 At that time, Linde Material Handling had just put the first machines in its robotics range on the market. Feigl explains: “We were convinced by the machines’ geoguidance orientation system, which did not require additional infrastructure. 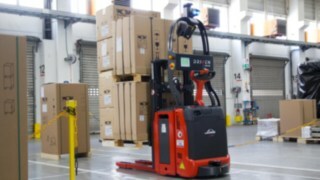 That’s a considerable advantage over other solutions, because it offers great flexibility and can be easily adapted to new routes and tasks at any time.” Another argument in favour of the system was the fact that its automated trucks are based on the respective Linde standard vehicles with additional options such as Linde BlueSpot. 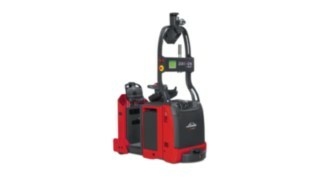 Furthermore, the Linde-MATIC models also offer navigation lasers, safety scanners at front and rear, 3D cameras or safety lasers, a computer module with 7-inch LCD screen as well as visual and acoustic warning devices plus emergency stop switches on both sides. 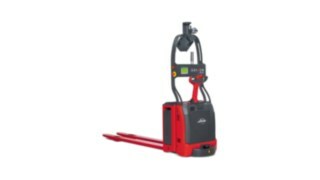 As a result of these innovative features the machines can work alongside people or other vehicles in the same surroundings. Obstacles are detected in real time. 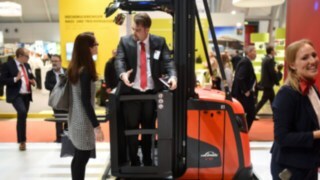 After several months of joint project work with Matthias Engelbrecht, sales consultant at Beutlhauser-Bassewitz, and Thomas Weisheit, Business Development Automation in Marketing Germany at Linde Material Handling, everything was ready on 5 April 2016. 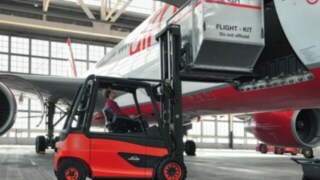 The ordered L-MATIC high-lift truck was delivered to its future deployment location by truck. The roller conveyor had already been installed one week earlier. It serves as a material buffer in the new logistics process. 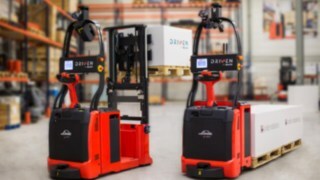 On one side, a forklift loads the roller conveyor with pallets; on the other, the robotic high-lift truck accepts these pallets one by one and takes them to the defined destination location. 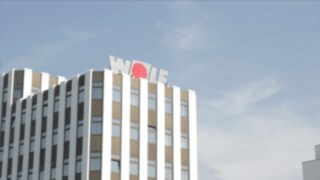 Installation began immediately after the equipment’s arrival at Wolf. First of all, an application engineer manually led the truck through the shipping hall and mapped all the immovable objects in the area using the camera fitted in the vehicle. In the next step, the resulting two-dimensional map of the building was cleaned up, because it should only contain the elements that enable the vehicle to constantly determine its position, i.e. walls, columns and shelves. This was followed by a third step that involves “training” the routes or tracks as well as the rules the vehicle uses to move around its surroundings. 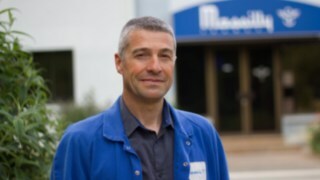 “The commissioning process was a highlight for the whole company,” says Christian Amann, Managing Director Production & IT at Wolf GmbH, with a smile. 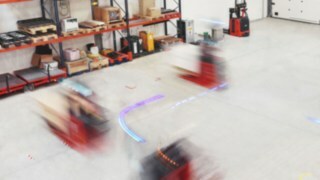 “The novelty of a system moving around fully autonomously without drivers attracted a great deal of interest and numerous onlookers.” The installation was followed over the coming day not only with trials with various packages, but also brake tests and additional safety checks, adjustments and system optimisations. 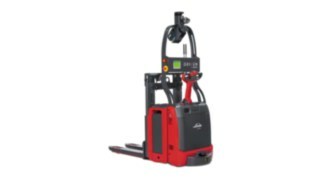 After all, pedestrians and operators of various warehouse machines also cross the routes used by the Linde L-MATIC truck. 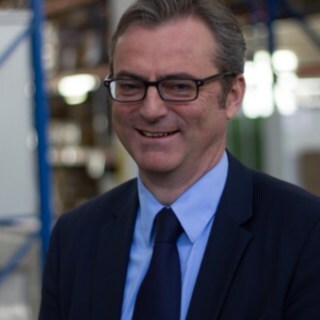 “We give safety absolute priority, which is why, on the one hand, we have defined clear transport rules for warehouse employees and, on the other, pay attention that the robotic devices offer correspondingly high transport safety standards,” stresses Amann.